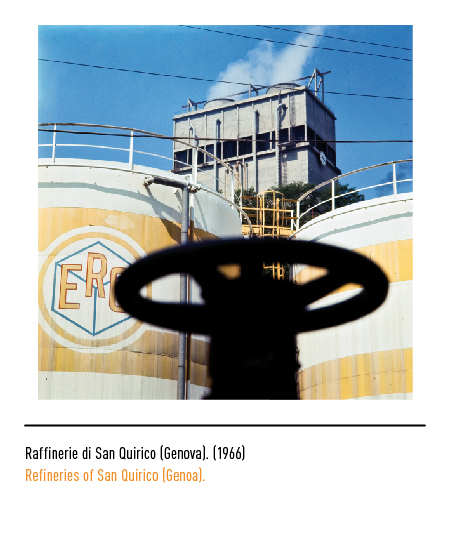 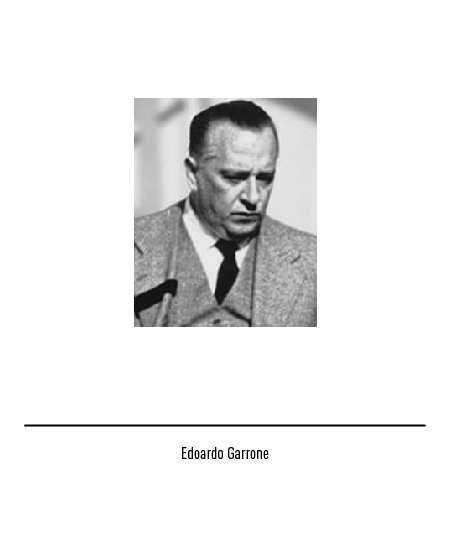 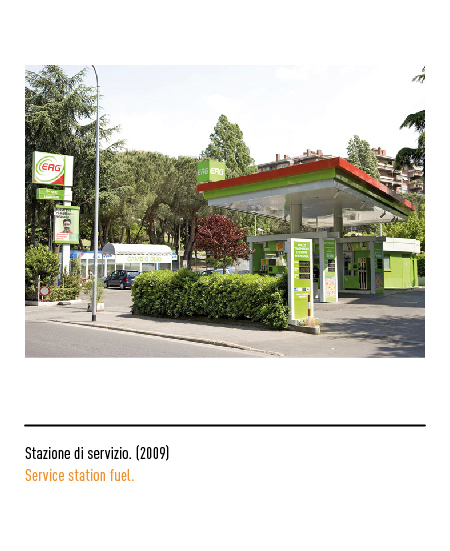 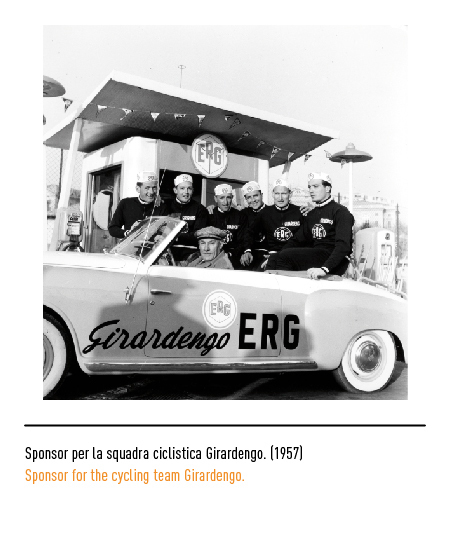 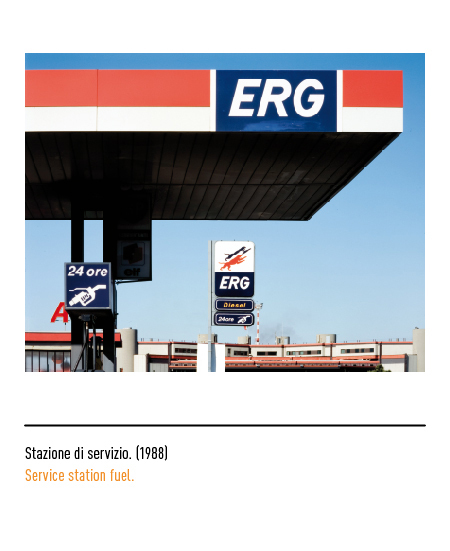 In 1938 Edoardo Garrone establishes a company devoted to the sale of petroleum related products. 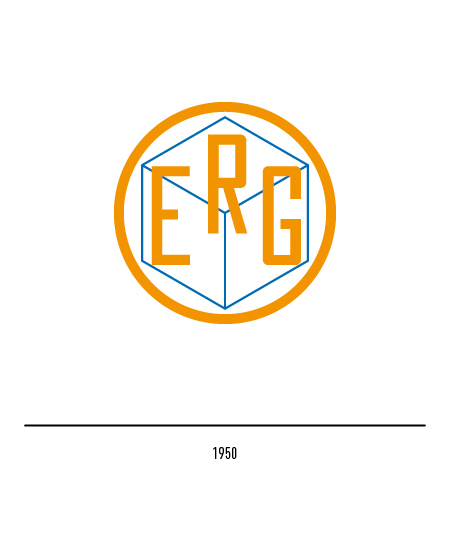 An anecdote about the origin of the name : history has it, that the acronym ERG came to life when Edoardo placed the company name "Edoardo Raffineria Garrone" (Edoardo Refinery Garrone) on three faces of a dice ("Dado" in Italian, which was also Edoardo's nickname), and noticed the three starting letters forming the acronym ERG. 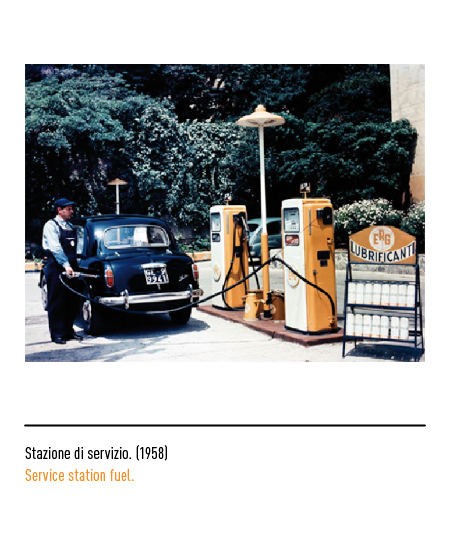 The dice was the starting point, and appeared first in the refineries, followed by the first retail stores and petrol stations, until the sixties. Due to the splitting into "Garrone Spa, prodotti petroliferi"(Garrone Spa, petroleum related goods) and "Edoardo Garrone Raffinerie Petroli" (Edoardo Garrone Refineries Petrol) , the latter will be identified through the brand with the three panthers (blue, white and orange) and the white logotype inscribed in a blue semicircle. 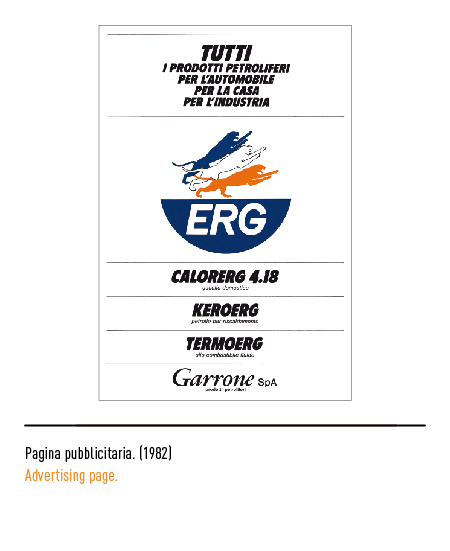 In the mid-eighties, through a brilliant graphical insert concerning the shape and the background : the three panthers (blue, white and orange) were placed in a vertically extended rectangle; not only was this logo present in any Italian highway, but it also represented the end for the petrol retailers Elf and Chevron. 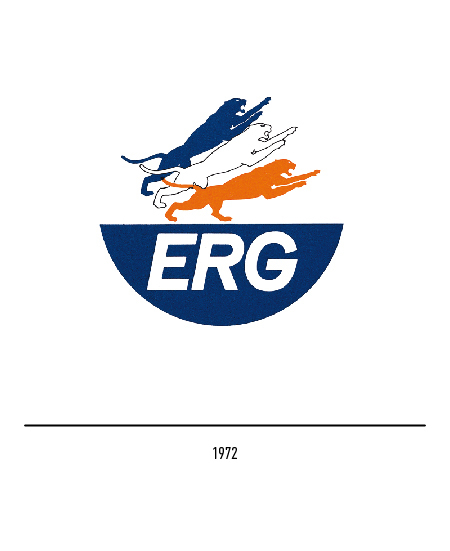 Such logo had though a problem of lettering : the first two letters E and R were being spoiled by the curve of the G; therefore, in 1989, such letter was made more fit for its position. Erg evolved, in 2000, from a mere petroleum related company, to an energy producer in a much broader sense. 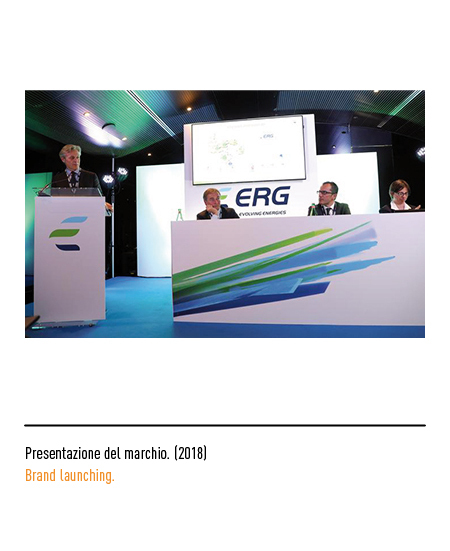 The strategy adopted in the economy field, along with the need of a transformation of the petrol stations and retail stores, required a restyling of the logo. 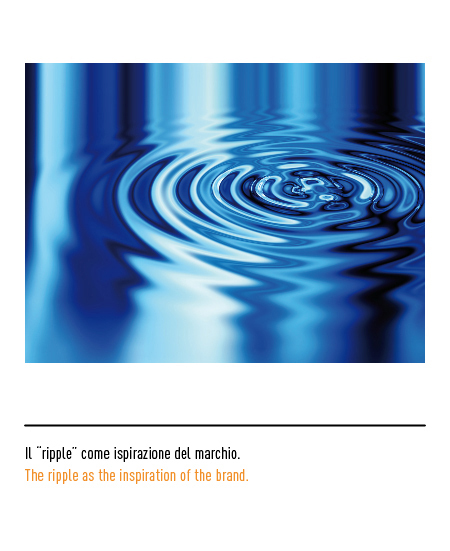 In 2001 the "ripple" finally comes to life ; "ripple" is the English expression referring to the effect (known to everyone but which doesn't have a one word definition to be referred with) caused by a drop in a quiet pond, or the birth and propagation of infinite concentric waves. From such harmonic energy sprouting from one unique source the inspiration is drawn for the new logo ERG, with light blue ripple and blue logotype typed with a modified Handel font. 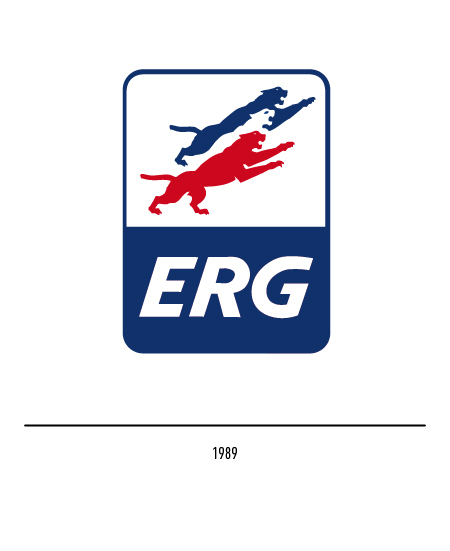 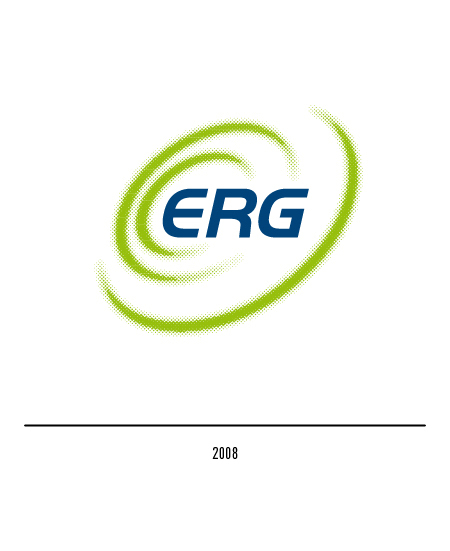 In 2008 another change in the economic position of the Erg company, which has now been involved in the field of renewable energies, requires a restyling of the logo in order to represent the new mission of the brand, restyling achieved through the shifting of the ripple from light blue to green. 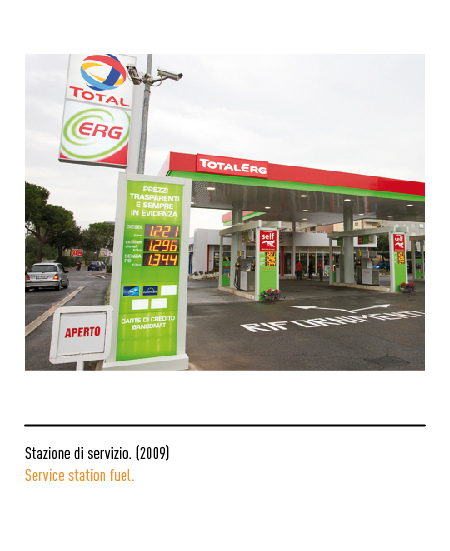 The following year one more variation : the red text to emphasize the Italian spirit. 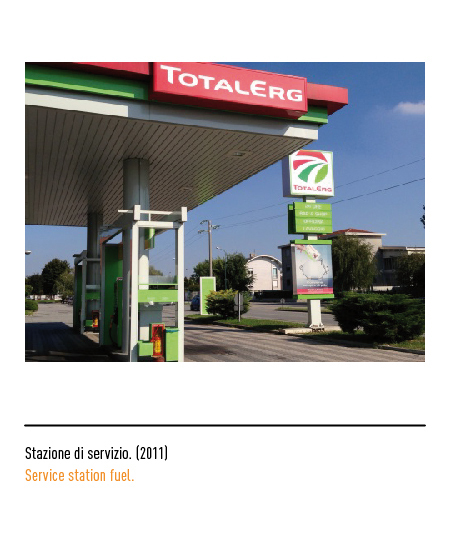 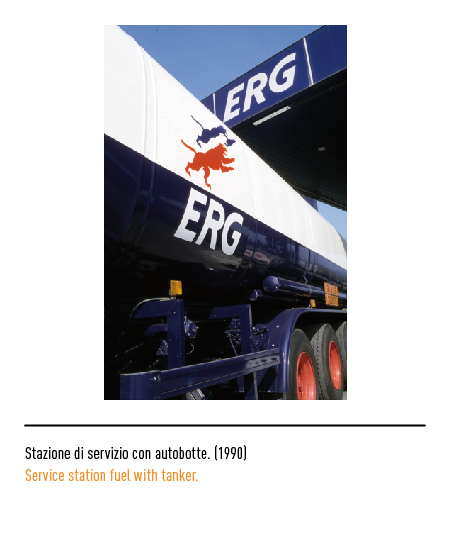 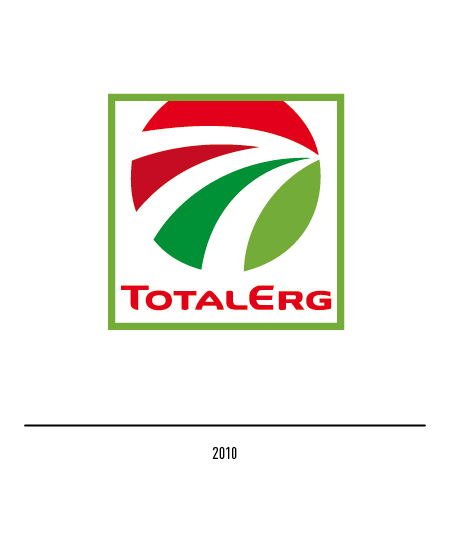 From 2010, Total and ERG decide to give life to TotalErg, a joint venture destined to be the core of future scenarios. 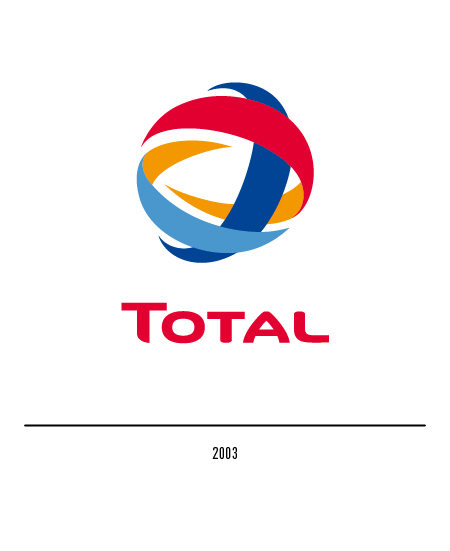 The logo representing such blending is a sign highly recognisable , dynamic and modern, with the logotype typed with the Total font. 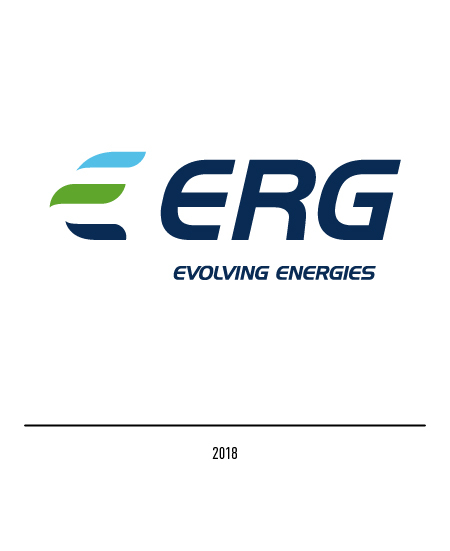 The colours are those of Total, Erg and Italy, the land where those two realities have decided to come together : the white represents roads converging in one unique point, symbolizing both the unity between the two companies and the common goal set to research, development and innovation in the energy field.